Whether you’re looking for a first aid kit for your home, sports bag, or car, the All Purpose First Aid Kit has the essentials you need to treat everyday injuries and respond to emergencies. 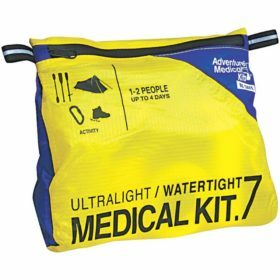 Whether you’re looking for a first aid kit for your home, sports bag, or car, the All Purpose First Aid Kit has the essentials you need to treat everyday injuries and respond to emergencies. 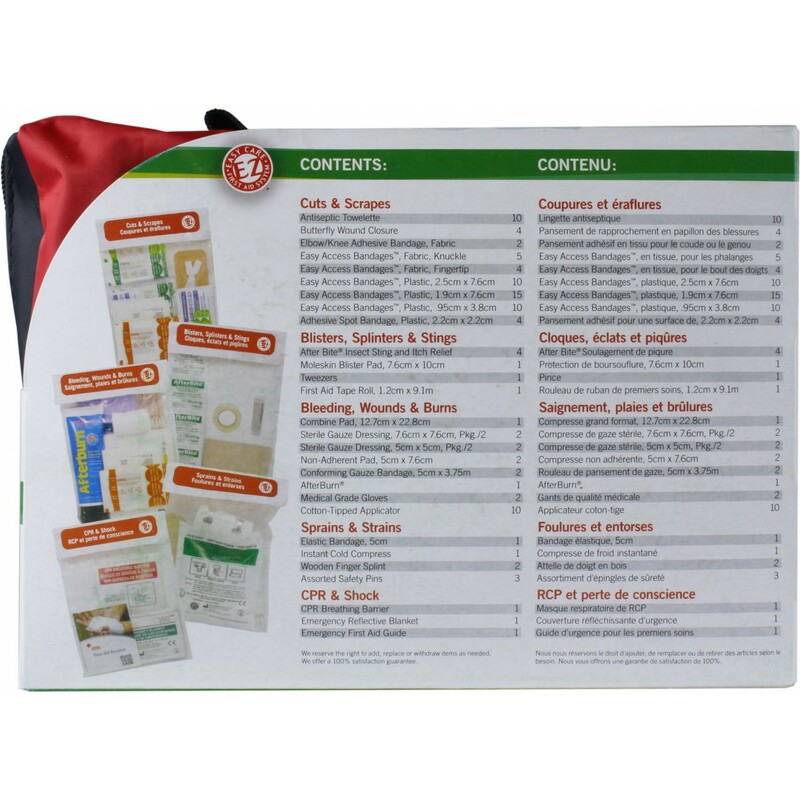 The durable carry bag organizes its contents by injury into five clearly-labeled pockets, making it easy for you and your family to quickly find what you need and administer first aid. 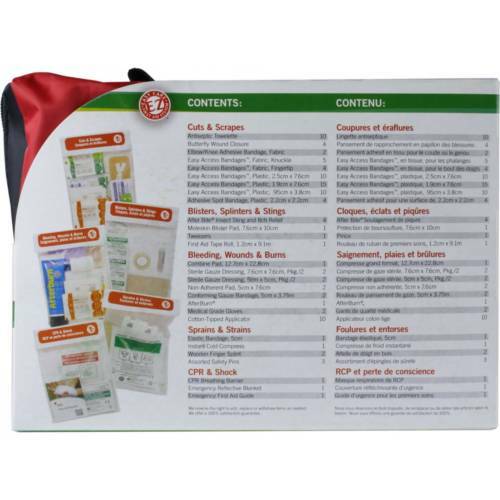 The quality contents include supplies to help you treat everything from blisters and bug bites to sprains and shock. 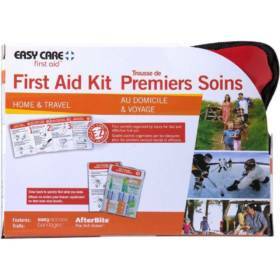 The kit also comes with first aid instructions from the Canadian Red Cross, providing you with life-saving information that’s easy to understand. 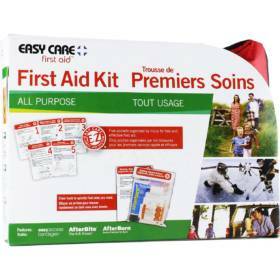 From family camping to days in the workshop, this all-purpose kit has what you need to respond to first aid situations quickly and confidently. 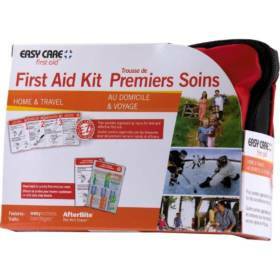 Know how to respond to emergencies with this bilingual first aid guide. Inside, you’ll find easy-to-follow instructions on administering CPR, stopping nosebleeds, treating animal bites, and more. 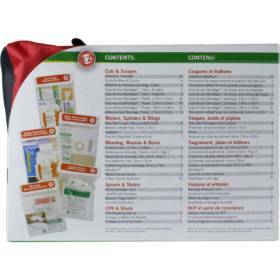 From choking to food poisoning, this booklet has life-saving first aid instruction to help your treat injuries or illnesses until medical personnel arrive. 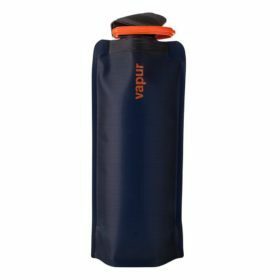 Identify and find what you need quickly in the easily accessible, injury-specific pockets that make it possible for anyone to administer fast and effective first aid. 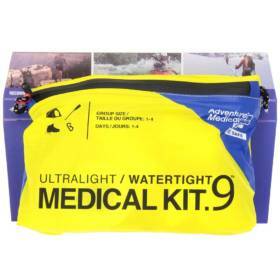 Instructions to treat common injuries are printed on the bag so the information you need is readily available. Safely administer CPR using the breathing barrier. 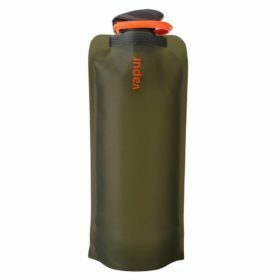 Wrap patients in the 90% heat reflective emergency blanket to prevent hypothermia or shock. 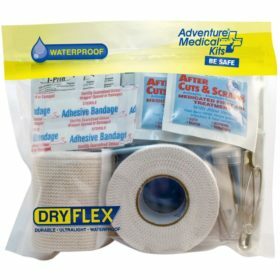 Stabilize sprains and strains with wooden finger splints, an elastic bandage, and first aid tape. 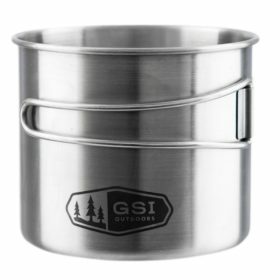 Apply the instant cold compress to reduce pain and inflammation from a sprained ankle or strained knee. 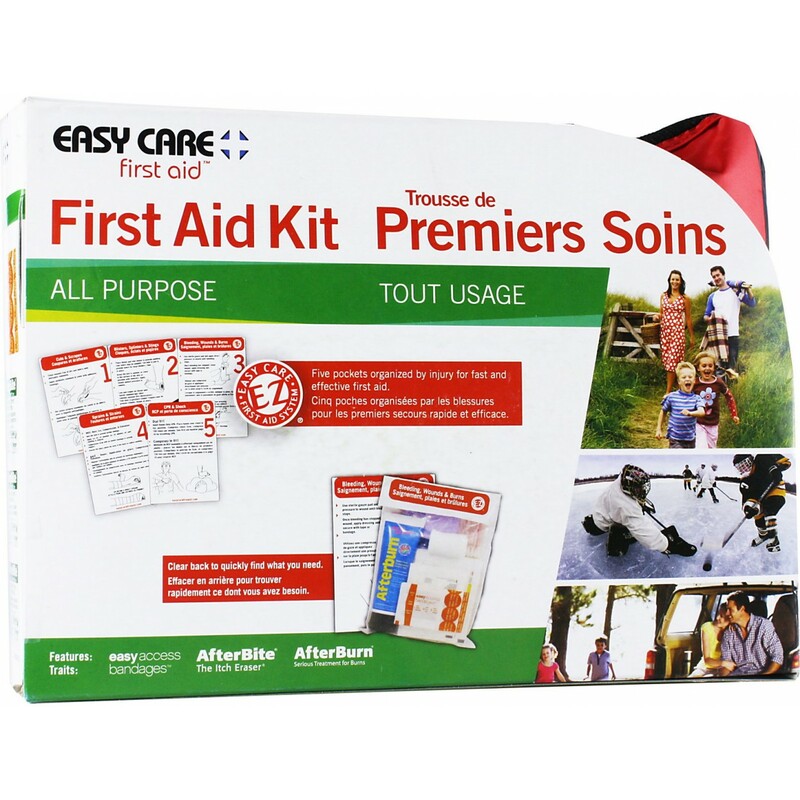 Care for everything from major bleeds to papercuts with supplies ranging from a sterile dressings to spot bandages. 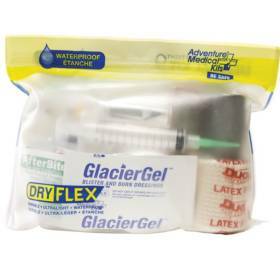 Antiseptic wipes, first aid tape, and butterfly wound closures let you clean and close wounds, while the trauma pad helps to stop bleeding. 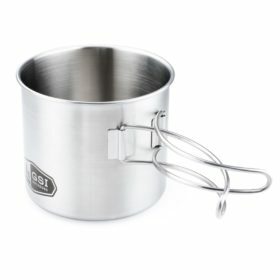 Stop blisters before they start with moleskin, the most reliable dressing to reduce friction and prevent blisters. Apply AfterBurn® to sunburn or scalds to promote healing and provide instant pain relief.